Who doesnt love a pleat 100% Cotton skirt especially when its in a unique Japanese flower and motif print with so many colours set on a Black background. 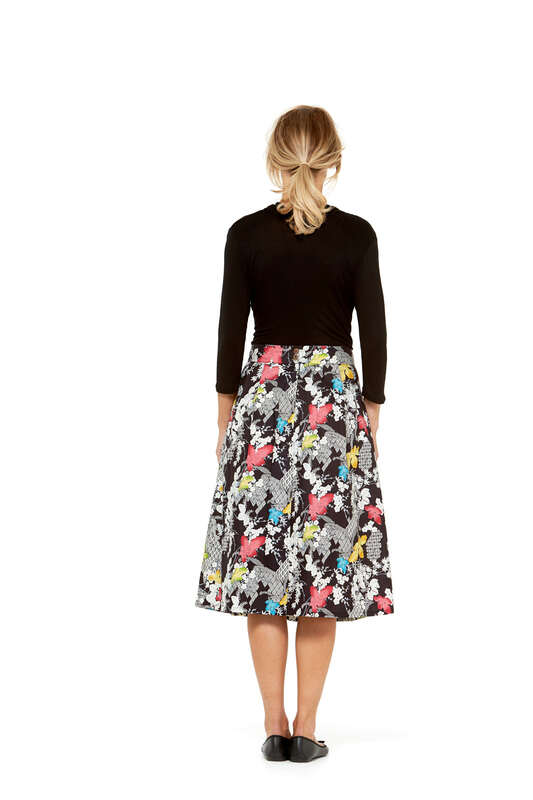 The new Rasaleela Jessica skirt will brighten up any day in any season and become a wardrobe staple for work , play and everything in between. Very easy to style with heels, boots , flats or sandals and a plain colour top or Tee .